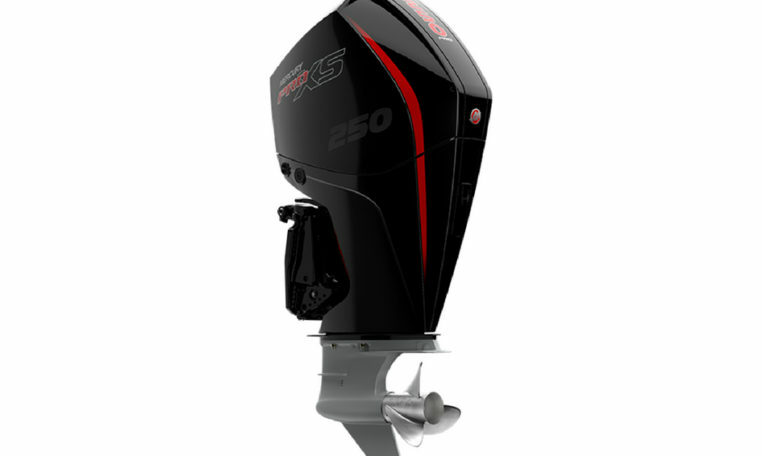 The 250hp Pro XS provides hard-charging performance to put you out front and keep you there. Pro XS is the choice of tournament anglers and performance enthusiasts who don’t like coming second. Mercury V-8 Pro XS models transform every drop of fuel into performance delivering class leading fuel economy at cruising speed and wide-open throttle. Advanced Range Optimisation (ARO) utilises closed-loop fuel control to precisely adjust the fuel mixture and deliver the best possible efficiency. All Pro XS FourStroke models now come with a 3+3=6 Year factory warranty. Great for bass and multi-species fishing boats. Please note: Price is for base 250 L Pro XS engine only, for rigging and other combinations please contact us. This Price is for engine only price. Rig Kit and fitting extra. Brisbane Marine will not ship new engines in boxes. All engines must be fitted and pre delivered by Brisbane Marine. *Specifications and options from manufacturers information. Specifications, options and pricing subject to change. For the latest information please contact us for further details.